Tuesday will be back to work and back to school for many. That will mean an end to the lighter commutes many have seen in past weeks. WASHINGTON — After the long Labor Day weekend, Tuesday will be back to work for Congress and vacationers and back to school for kids who haven’t returned to class just yet. That will mean an end to the lighter commutes many have seen in past weeks. “We had a lot less traffic on the roads in August and we were really getting used to commute times that were a lot easier,” said Director of Traffic and Weather for WTOP Jim Battagliese. In the past, the Tuesday after Labor Day has been referred to by some as “terrible traffic Tuesday,” but Battagliese said that isn’t the case anymore. “You’re going to see that kind of gradual flux come back, so we kind of call it a September surge,” Battagliese said. 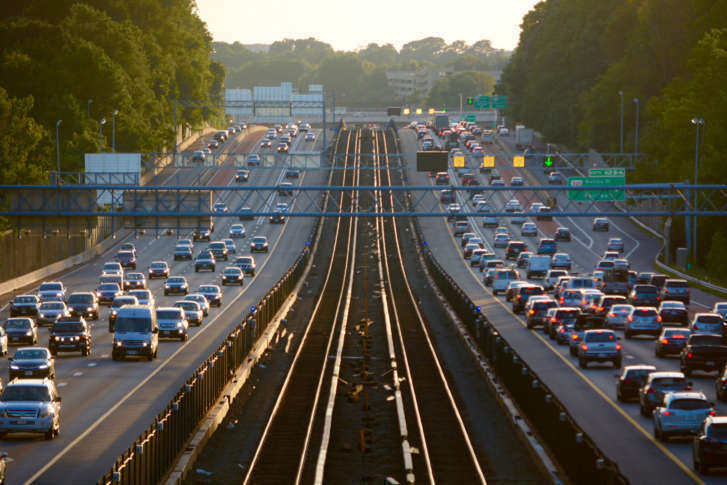 A Metropolitan Washington Council of Governments study found that 45 percent more cars hit the roads during the transition from August to September. Battagliese recommends motorists leave 15 to 20 minutes earlier starting Tuesday in order to get to their destinations on time. Other options include parking the car and using public transit or biking to work. He said drivers should pack some extra patience as other drivers figure out their commutes. “Everybody is in the same boat, everybody is going through the same adjustment period,” Battagliese said. Battagliese believes by mid-September, you’ll start to see things settle down, and you’ll gradually get back to the commute time you were accustomed to seeing before August set in.